Born in Puerto Rico and raised in Paterson, New Jersey, Judith Ortiz Cofer now makes her home in Georgia. She is a poet, essayist, and novelist, whose work explores the experience of being Puerto Rican and living, writing, and teaching in the United States. She is the author of eleven books in various genres. Her second novel, The Meaning of Consuelo (2003), tells the coming-of-age story of a Puerto Rican girl living in the suburbs of San Juan in the 1950s. A bookish adolescent, Consuelo must face the challenges posed by her parents’ crumbling marriage and her younger sister’s descent into mental illness. In a starred review, Booklist said, “Cofer combines the timeless clarity and moral imperative of folktales with the timely wit of keen social criticism in an absorbing portrait of a smart and compassionate young woman…” The novel received the Americas’ Prize in 2003. She is also the author of Woman in Front of the Sun: On Becoming a Writer (2000), an autobiographical collection of essays, interwoven with poetry and folklore, and accounts of her life as a teacher and writer. Other books include the essay collection, Silent Dancing (1990), a New York Public Library Outstanding Book of the Year and winner of the PEN/Martha Albrand Special Citation in nonfiction; the prose and poetry collection, The Latin Deli (1993), winner of the Ainsfield Wolf Award in Race Relations, also selected for the 2005 Georgia Top 25 Reading List, a project of the Georgia Center for the Book; the short story collection, An Island Like You: Stories of the Barrio (1995), winner of the American Library Association’s first Pura Belpré Prize in Young Adult Literature, and a Best Book of the Year of the American Library Association, and three collections of poetry: A Love Story Beginning in Spanish (2005), Reaching for the Mainland (1987), and Terms of Survival (1987). 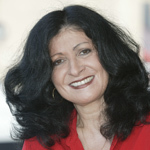 Judith Ortiz Cofer is the Regents’ and Franklin Professor of English and Creative Writing at the University of Georgia.